1 - 15.08.10.39 (backing plate). 2 - 15.03.48.39 (7/16? lock washer). 4 - 15.03.42.39 (7/16? flat washer). 2 - 15.05.30.39 (7/16?-14 x 1? bolt). 2 - 3008 lower control arm bushings (rear position). 2 - 15.10.10.39 (3/4?O.D. x 1/2?I.D. x 2.40? sleeve). 2 - 15.02.02.39 ?B? shells. 2 - 3224 lower control arm bushings (front position). 2 - 15.10.08.39 (3/4?O.D. x 9/16?I.D. x 3.00? sleeve). 2 - 15.02.11.39 ?K? shells. 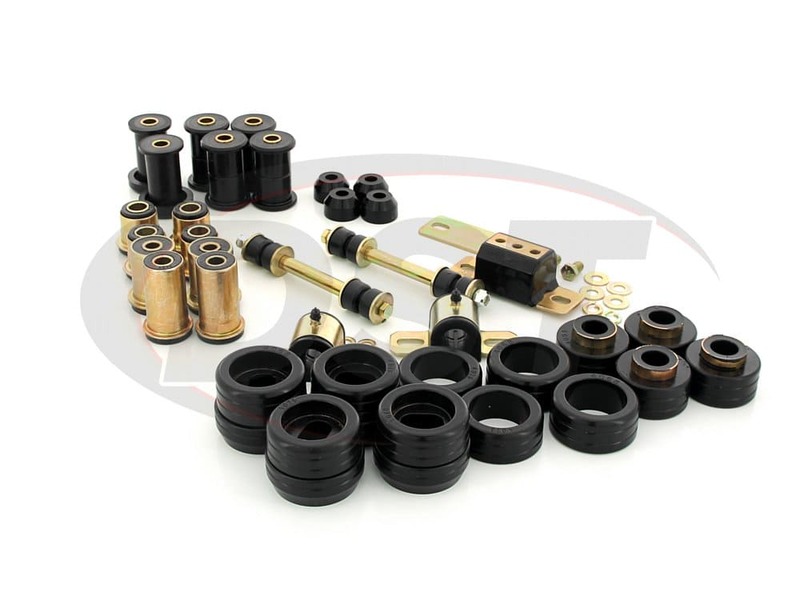 4 - 3293 upper control arm bushings. 4 - 15.10.50.39 (7/8?O.D. x 11/16?I.D. x 1.80? sleeve). 4 - 15.02.16.39 ?P? shells. 1 - 17019 installation instructions. 8 - 2004 spring bushings. 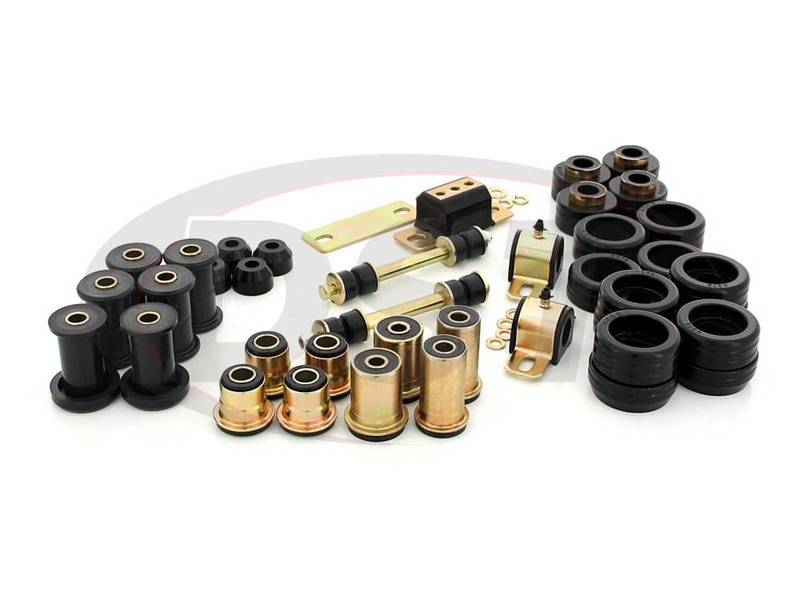 2 - 2109 frame shackle bushings. 6 - 15.10.08.39 (3/4?O.D. x 9/16?I.D. x 3.00? sleeve). 1 - 17060 installation instructions. 2 - 2110 thrust washers. Must reuse all factory hardware. 4 - 4067 bushings (top, position 1 & 2 ). 8 - 4068 bushings (bottom, all positions). 4 - 4085 bushings (top, position 3 & 4 ). STD and Extended Cab pickup. 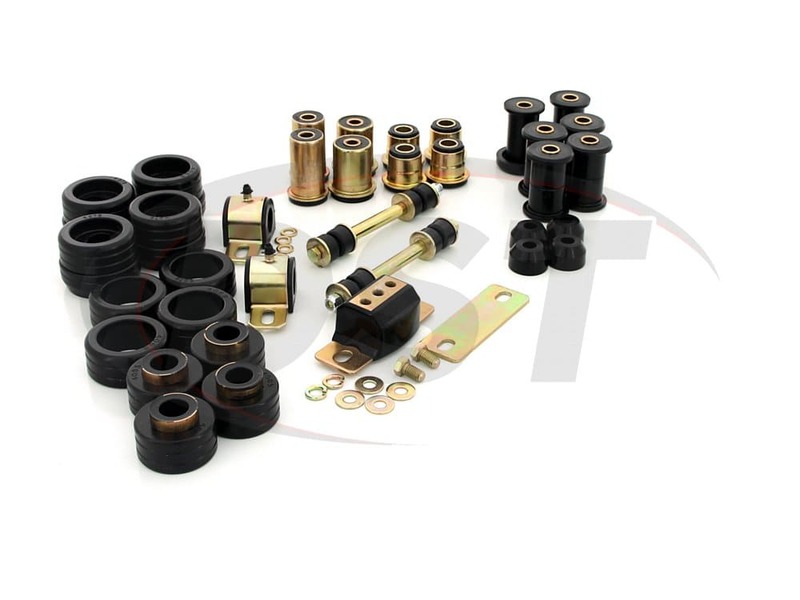 2 - 5340 bar bushings (1?bar). 2 - 15.12.06.39 greaseable brackets. 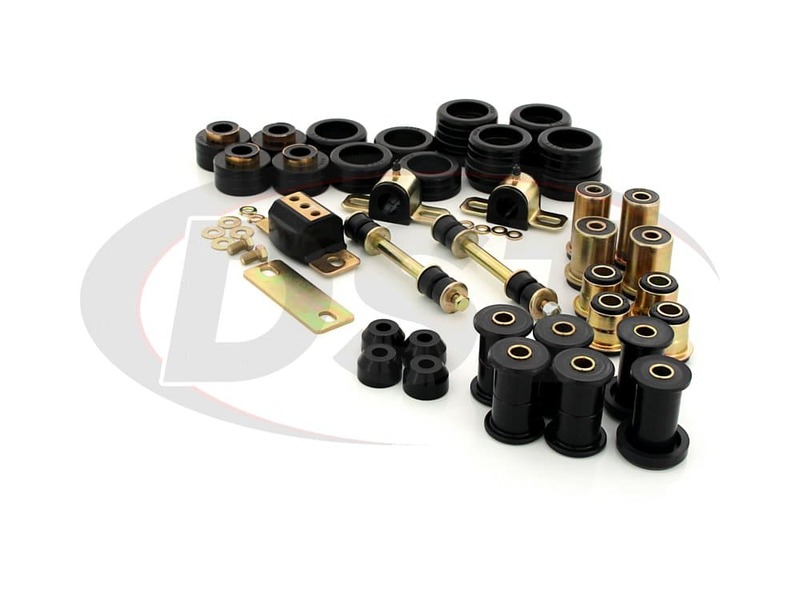 8 - 4806 end link grommets. 8 - 15.03.01.39 cupped washers. 2 - 15.10.24.39 (9/16?O.D. x 3/8? I.D. x 3.375? 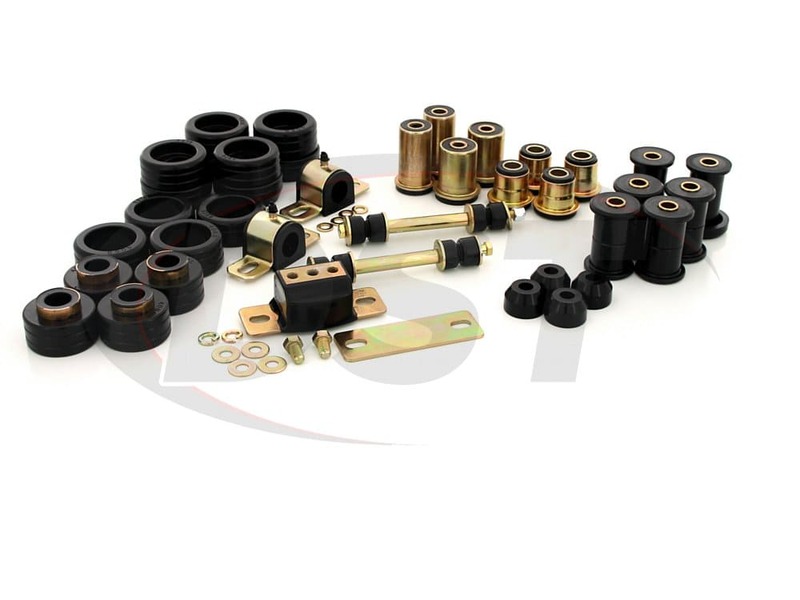 4 - 13001 tie rod boots. 8 - 9.11101 grease tubs. starstarstarstarstar" This is awsome "
This kit couldn't be better. It has everything I needed and is of awesome quality. I would recommend this to everyone I meet.